Have you ever asked God to have his will in your life? Great! But what is His will for you? 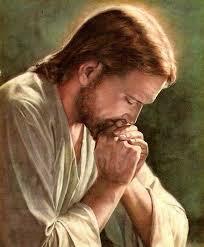 Although Jesus was fully aware that He would soon be crucified, His thoughts and last prayer request includes us. Listen to Pastor Cliff Purcell as he shares this important message in the following podcast: “A Family Conversation – Week 8” (March 18, 2018). Blessings! This entry was tagged Christianity, holiness, how can others come to know Christ?, Jesus Last Request, John 17, joy, Pastor Cliff Purcell: A Family Conversation - Week 8, Unity, What is God's will for my life?, what was on Jesus heart and mind before His crucifixion?. Bookmark the permalink.